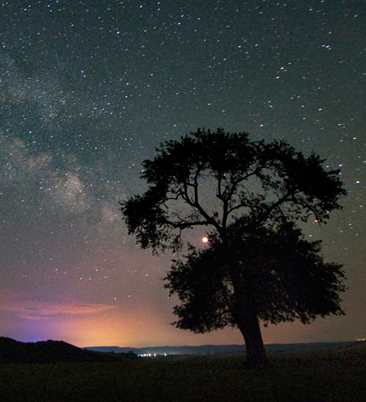 The month of April has some pretty dicey celestial alignments in store. Mars comes closest to Earth on April 14. And one day later, in the early hours of April 15, we're treated to a spooky Total Lunar Eclipse, with the Red planet just to its left. In our area this Lunar eclipse will be unfolding right overhead, in zenith position, peaking on April 15, at 1:45 a.m. MDT. Every 26 months when Mars passes close by, in some way or other Martian combustion jumps over. Mars's element is fire, signifying raw and untamed natural forces. You might remember: in August of 2003 Mars had its record closest approach to Earth in 50,000 years! At the time, Western Canada experienced an extremely dry summer, there were extensive forest fires, Kelowna lost many homes. And in Yellowstone Park, for weeks the ground in caldera lake was swelling, accompanied by swarms of earthquakes. It comes as no surprise that on March 30, a 4.8 magnitude earthquake struck the Yellowstone area, the strongest quake in that area in 34 years. Yellowstone is a sleeping giant. Scientist found that it hosts a super volcano. Its last major eruption occurred some 640,000 years ago, it was some 2000 times larger than the one of Mount St. Helens, blanketing thousands of square miles with volcanic ashes. During the two weeks following the Lunar eclipse tensions will reach a climax. A rare grand square, between Mars, Pluto, Uranus and Jupiter becomes very sharp. Chances are high that intense Solar flares, significant earthquakes or volcanic eruptions will take place. At least we should be prepared for such kind of events. It might be a good idea to store extra drinking water. This overdue super volcano adds merely one more extinction threat. Fukushima ranks number one on this macabre list. The sudden an intense reawakening of the Yellowstone giant may come in second. Then there's the explosively advancing Ebola outbreak in Guinea. And equally threatening, the world-wide collapse of bee population. As individuals we cannot do much about any of these perils. Following their own dynamics, each of them is equally tragic. There's no question, these coming weeks bring challenges our way. Every little step has to be earned, we have to pay our dues. Efforts might not show immediate results, it could even seem that we're making no headway at all. At best, retrograde Mars strengthens the roots, builds reserves, practices and prepares for stage appearance. From April 5 to May 3, Venus is in Pisces. 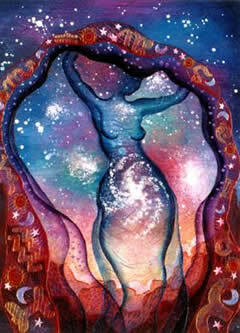 Venus is Pisces is at peace with what is, awakens our inspiration, imagination and compassion. 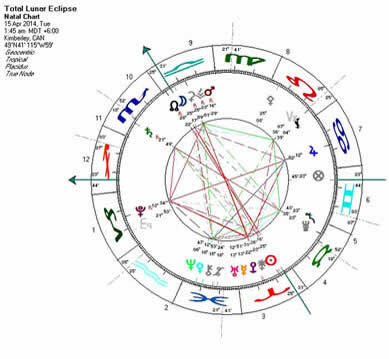 This Venus transit softens possible clashes and surges. Savor the soothing and loving presence, allow being captivated by subtle beauty. Such delicate moments allow to let go and relax into the Now. On April 21, the fifth of seven Uranus-Pluto squares becomes exact. For five full years, from 2011 to 2015, the clash between these two outer planets is a dominating factor. Uranus in Aries is teeming with reform ideas and quite determined. Enthusiasm can be infectious, great creative potentials push through resistance. 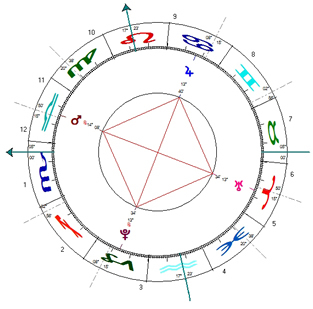 Pluto in Capricorn braces this revolutionary tendency, wants to keep everything in control. However, in the long run, Pluto will have to give in to the Uranian grit. Their fifth square marks the culmination within this five-year period. Foundations for radical changes are in place, from June on innovative moves will start cascading. For the time being, lots is going on underground. We're not quite ready for bold moves. Additionally, this is Uranus' and Pluto's first square following their heliocentric 90 degree angle which was exact in late November 2013. Before that, compression and contraction were the dominating forces, energies were accumulated. Since they're in separation mode we have come into the release phase. This time, Mars' and Jupiter's energies are tightly woven into the Uranus and Pluto theme. Jupiter is the largest planet of the Solar system and well-known to pump energies up. Jupiter's involvement brings the friction to a much more visible place. The smoldering conflict against governments favoring corporate interest above the wellbeing of their citizens might gain momentum. With Mars, a personal planet is involved in this potent alignment. Whatever the issues in question will be, many people are directly affected. Large numbers of individuals might get mobilized. However, while in retrograde mode Mars' input is more subliminal and somewhat undercover. The expressions of this grand square can be multifold. 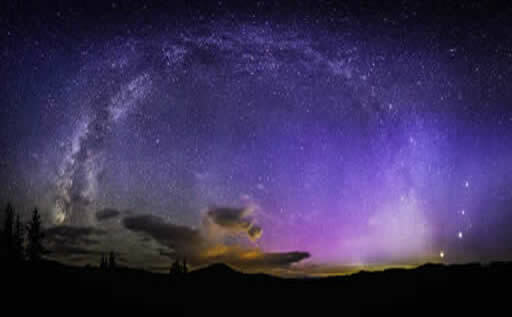 On one side there's the danger that blocked energies suddenly and uncontrollably could erupt. On the other side we have this extreme determination to break through hindrances. At this time however, obstacles cannot be overcome directly. As intense as everything gets, this is a preparation period, designed to gather inner strength, courage and determination. By the end of May, finally the three-fold process of retreating personal planets will come to completion. By then, having done our homework, we will know what's to be done and relentlessly push for sustainable and fair solutions.